Timâs energy is infectious. I love his approach of providing multiple types of episode content. He mixes it up with interviews, his own points to ponder and tips for engaging with law enforcement in the best/most productive way! Love the show Tim. I especially love the advice that you give on video and photo of police on duty. I appreciate all that law enforcement does to keep our country safe. Keep up the great work! Enjoyed your Fools in Ferguson podcast. On point and well delivered. This is a great podcast from another former law enforcement professional. I enjoyed listening to the episodes. I encourage everyone to listen, but especially LE personnel.Thanks for putting this great content out. Tim keep going, this is such a powerful podcast. Not only inspirational for very informative! You ask amazing questions and really bring those who are not in law enforcement behind the shield, to see what the great men and women who protect and serve do. Fortunately, I found this podcast because I work with law enforcement; however, I'm concerned other folks may breeze right past this gem because of the title. There is so much valuable information here for EVERYONE - the true blue AND the guy at the corner store. Great content, Tim! Keep bringing it! Tim brings inside not only what it is like to be a officer, but the ideals behind it, and the inside story of real life officers and how the dealt with certain situations. As someone who has lots of family who have been in Law Enforcement, I salute you sir! Now go ahead and get back on General Patrol! Loved listening to your interview of my friend, Scott Stratten. Thanks for creating a great format to feature important conversations. I've listened to several of your shows and I can't wait for more. Great interviews! Glad to hear this show! Such a great show and I love the topic Tim discusses with us. I am glad an ex police officer has decided to start sharing insights with us on this show. I really enjoy hearing about what police officers âgo throughâ on a daily basis. This information that is valuable to all citizens so people can hear both sides of a story. Tim has a great interviewing style which makes the podcast feel like youâre listening to two people having a coffee. I heard about this podcast from MotorCop when he was featured. Never listened to Podcasts before but now I am hooked and patiently waiting for the next episode. I listened to all of the current Podcasts in one week of commuting to work. Keep up the good work! Talk about a niche podcast! Great stuff Tim! Iâm not a LEO myself but I have countless family and friends who are. This podcast is like a family get-together with great behind-the-scenes stuff that only LEOâs and their friends share. Tim does a great job about creating conversation about law enforcement. The timing and content is spot on. Tim, I love themindset that you have here. I've friends and family members that are (and were) involved in law enforcement, and I want to thank you for reminding us all that these people step up and help our communities out. Keep upthe great work! Love that Tim went with a different approach to the show. Keeps it fresh, with tons of great info. Keep it up guys! Loved the behind the scene information about the Lowell Police department viral video. If you work in law enforcement you'll love this show! Hey man really digging the music -sets the mood. Also like what youâre doing with the point to ponder series. Good stuff. Thanks for the show Tim! Great peak into a profession that earns my respect daily! Love the perspective and elevating the profile for the police. A grat support system and encouragement for those who serve us on the streets daily. As someone that has taught defensive tactics to law enforcement this program is awesome and timely! Great topics and info even if you are not in law enforcement. Great job! What an inspirational, "make you think" show! Very encouraging! I'm not in the police force, but have a high respect for what they due on the front lines everyday. Be inspired to lead your life on the front lines!! 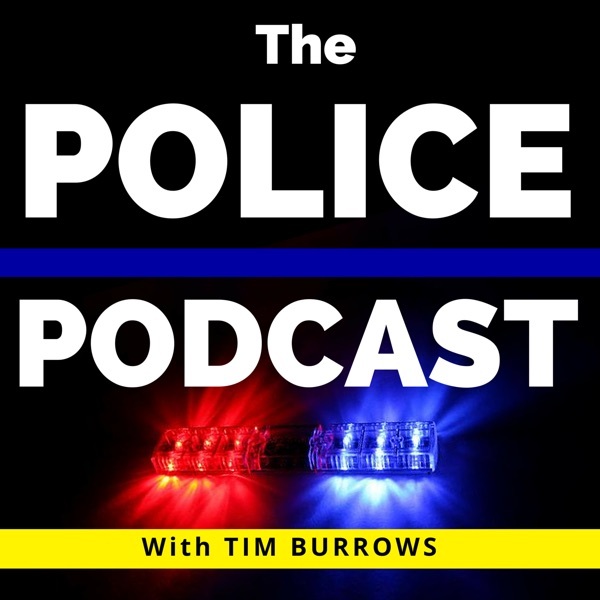 As someone with relatives in law enforcement, I think it's great to see a podcast like this that helps the police to promote a positive image!